I’ve spent the last year battling cancer, and let me tell you: Having cancer is often the least stressful part of having cancer. What do I mean by this? Dealing with the emotional and psychological impact of a serious medical condition consumes a fantastic amount of energy, but dealing with health insurance companies, hospital billing departments, disability providers and human resource departments requires the patience of Job. It often feels like the haggling, begging, persuading, and being unnaturally persistent that comes with managing all of the stressful logistics of paying for unexpected medical expenses will kill you — if the medical condition doesn’t do it first. If you’re struggling to find a way to pay for medical expenses and it seems like there’s no way out, keep the faith: You’re not alone. 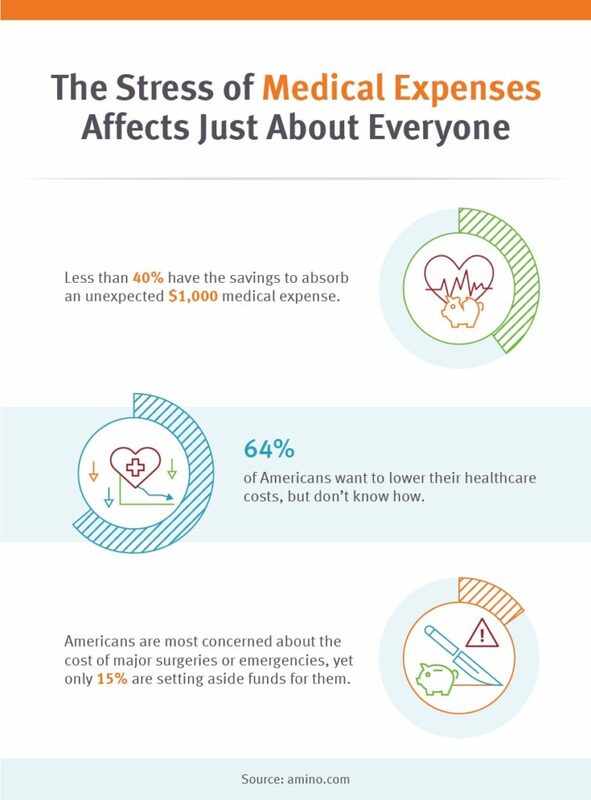 Over a third of American households weathered a major unexpected expense recently, and less than 40 percent have the savings to absorb an unexpected $1,000 medical expense. Even if you’re insured, a diagnosis like cancer can bring crippling health expenses. My deductible and out-of-pocket maximum combined meant I was responsible for $15,000 in medical costs in 2017. If I’d been uninsured, that number would have easily climbed to more than $150,000 — and that’s assuming I could get the care I needed without insurance. If you’re looking at a long road to recovery with lots of different tests, procedures, prescriptions, treatments, surgeries, and rehabilitation, here are some of the things I’ve learned that can help mitigate the financial hit. Talk to providers and facility billing departments in advance to learn about your options. I chose to receive treatment at a research and teaching hospital that houses all the providers I needed under one umbrella. My office visits, lab work, surgeries, prescriptions, hospital stays and emergency room visits are consolidated into one billing office, which makes negotiating my costs and keeping track of my expenses way easier than it would have been had I gone another route. At one point, I was under the care of four specialists at once, each with their own directions for labs, procedures, treatments and surgeries. I only had to ask once for them to work together as a team to make sure we killed as many birds as possible with one stone. Two separate major surgeries, for instance, were combined into one, saving me beaucoup bucks in operating room expenses, anesthesia costs and time spent recovering in the hospital. Each time I had to visit the emergency room, I insisted on speaking with a representative from the billing department before any expenses were incurred to ask about the most cost-effective options. • When does insurance begin to cover co-pays? 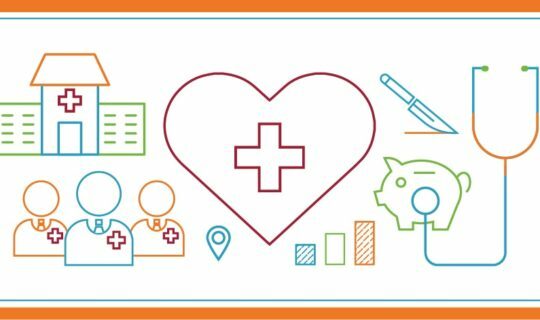 • What’s your true out-of-pocket responsibility — not just your deductible? • Which providers are covered in-network? • Have you been double billed for labs or procedures? • Is your prescription coverage correct with your pharmacy? The American Medical Association says that more than seven percent of medical bills contain errors, and I can attest that it happens far more frequently than common sense says it should. If you’re confused, call the insurance company or your health care provider and ask. The amount of red tape you’ll likely encounter trying to manage everyone with their fingers in your medical-expenses pie causes untold amounts of frustration and impatience, but it won’t do you any good to express that to collection agents or case workers. This seems like basic advice, but when you’re on your third or ninth or twentieth call explaining the same situation to yet another agent, it’s easy to indulge in some slightly irrational behavior. Resist the urge to under- or overplay your hand, and try to explain the facts as concisely as you can. I’ve had disability providers extend my paid time off work period, billing departments look for line items they can write off, and collection agents settle for pennies on the dollar, all because I was honest and friendly. It may also help to record the name of everyone you speak with and the content of the conversation, and try to get on the phone with the same person whenever you can to avoid the irritation of having to repeat yourself to an endless string of customer service agents. Really. It’s the insurer’s responsibility to negotiate the lowest amount possible they’ll pay for any health care service. If your medical provider puts a price of $100 on a consultation, the insurance company may only pay $70. Now in order to get that $100, providers often increase their rates, and suddenly they’re charging $125 for that same consultation. Understanding this is absolutely critical if you’re uninsured. Tell your provider upfront that you’ll be paying out of pocket, and you may see your charges drop. Their billing system might automatically charge you the higher rate, but since they don’t have to haggle with insurers, they’ll often lower their rates to what they would have charged to begin with. If you are insured, ask your provider to do everything they can to squeeze all of their care into one year. I met my out-of-pocket maximum by June of 2017, and spent the fall pressuring half a dozen different specialists to schedule any procedures, tests and surgeries before my deductible reset on January 1. If you have money saved, ask the provider if you can get a discount for paying in full upfront. They may reduce your bill if they know they don’t have to worry about you making your monthly payment. If that isn’t an option, ask about payment plans. Some medical facilities will offer zero interest installment plans for non-elective procedures. Some banks and credit card providers may offer personal loans to customers struggling with unexpected expenses. In fact, a recent survey from Discover Personal Loans found that 26 percent of people ages 23-29 and 50-65+ were most likely to use a personal loan for medical expenses. These loans may have interest rates below what you see on a revolving credit card balance. Most hospitals and large practices employ social workers whose sole job is to make receiving health care as easy as possible, but these services often go unpublicized. I had no idea such a person even existed until I broke down in my doctor’s office when I found out yet another expensive procedure was coming my way. 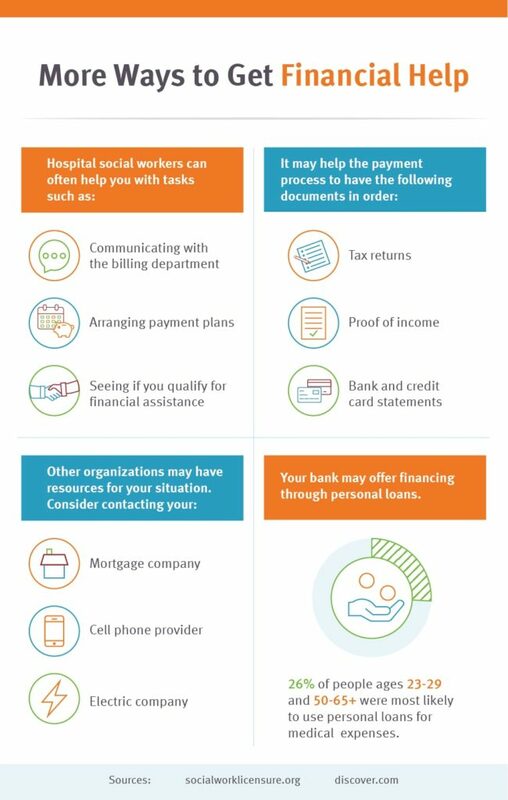 These angels will do everything they can to help you, from serving as a go-between with the billing department in order to arrange payment plans, to helping you qualify for assistance if you’re a low-income patient. Get all of your financial documents together before consulting with the social worker in order to speed up the process. They’ll need tax returns, proof of income, and bank and credit card statements. 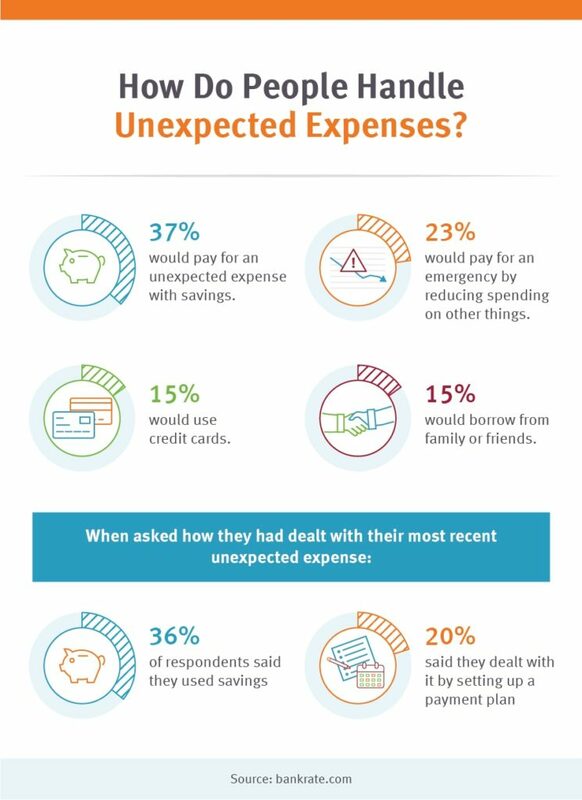 The hospital isn’t the only one with hidden programs to help with unexpected expenses. Call your mortgage company, your cell phone provider, your electric company — tell anyone who’s asking for money about your situation and ask if they have any options or resources for you. There are also a slew of organizations that offer assistance in paying medical bills in many different situations. Remember, it’s free of charge to ask for help. What do you have to lose? The absolute last thing you want to fret over after a bad diagnosis is money, but often, health worries and financial worries go hand in hand. Searching for ways to pay your medical bills is hard, unfair and can make you want to hit something. My advice? Go ahead, pummel a pillow. Get a therapist. Go to support groups. Do whatever you need to do to stay sane enough to take it one breath at a time. Even when the path forward is almost impossible to see, you have options. Kris Blackmon has over a decade of experience writing and editing, working in daily journalism, long-form non-fiction, marketing, research, and policy.